For those who are great fans of the Lord of the Rings books and films, as am I, they have now begun filming for the new movie, The Hobbit. It will come as a two-part release, with the first scheduled out in December 2012. The English actor, Martin Freeman, will play the young Bilbo Baggins while Ian McKellen will continue with the role of Gandalf the Grey. My friends’ son is currently travelling around New Zealand for a gap year. Just this past week, their tour happened along the filming crew of The Hobbit. No doubt that would have been an interesting experience. I am looking forward to the release, though it is just over a year and a half away. I am glad the final Harry Potter movie shall be released this coming summer and then the final book of the Inheritance cycle is released in November (after about a 3 year wait). 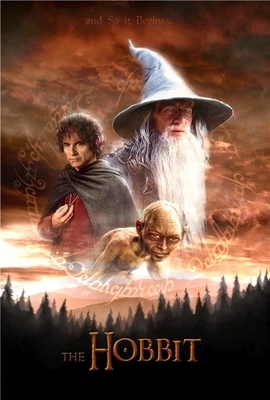 But what movie or book from the fantasy fiction genre will be released in earlier 2012 to hold me over until the release of The Hobbit?…. This entry was tagged books, fiction, fiction books, life, movies. Bookmark the permalink. Thanks for this, since I’m a big fan.